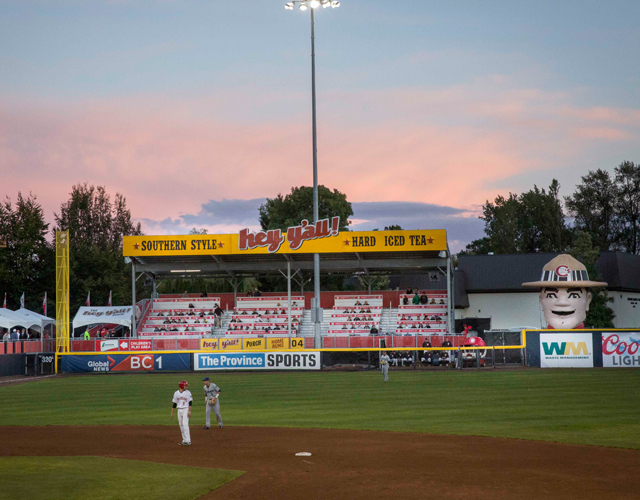 Whether you are a life long fan of the Vancouver Canadians or just starting to figure out where you can have the most fun under the sun each and every summer, don't miss an issue of News From The Nat, the official e-Newsletter of your home town C's. From deals on tickets, merchandise and more right through to insider information about our players and staff, signing up today will bring you closer to the action than ever before! By registering for the Vancouver Canadians Baseball Club e-Newsletter, you are allowing our organization to send you communications that pertain to our products, partnerships and Major League Baseball Advanced Media. Should you choose to no longer receive communications from the Vancouver Canadians Baseball Club, please click HERE.